In 1997, Mike Jittlov (Wikipedia), the acclaimed stop-action animator of The Wizard of Speed and Time (IMDb) was in residence at Desktop Video Group/NewMedia Lab studying digital video editing and animation tools. Derek Doyle had located Mike Jittlov on the Internet. On a trip to the Consumer Electronics Show in 1996, Bob, Holly, and Derek visited Mike in Hollywood and invited him to come East to study the latest computer animation techniques. Mike came to Cambridge in the Spring of 1997. DTV Group helped arrange and videotaped Jittlov presentations at Northeastern, MIT, and Harvard for Jittlov's hundreds of fans in the Boston area. One of Mike's celebrity fans is Internet legend James "Kibo" Parry (Wikipedia), Mike's longtime Usenet correspondent. Mike met Kibo face-to-face for the first time pretending to be a FedEx delivery person at Kibo's Brookline apartment. Mike and Kibo share a fantastic ability for small details, Mike with his "Tiny Writing" and Kibo with font design abilities. Kibo made a tiny animated version of Bob Doyle's Merlin - The Electronic Wizard. Here is Jittlov's poster for his talk at Harvard Science Center, prepared with KIbo's help. Mike screened The Wizard of Speed and Time at each presentation, with a running commentary of how the film was made. 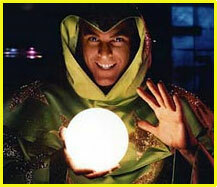 DTV Group members hoped to release a DVD version of The Wizard with an accompanying Director's commentary track. While Mike was in Cambridge, several of his fans around the world got together to launch WizWorld, the "OFFICIAL MIKE JITTLOV GLOW-IN-THE-DARK WEBPAGE!" 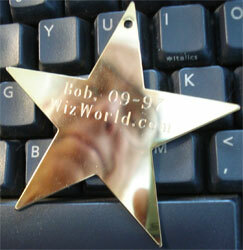 Each member of the WizWorld team received a gold star engraved with the 09-97 launch date of WizWorld.com. Mike studied non-linear editing on the Apple Macintosh.. DTV Group sent him back to Hollywood with a Macintosh and editing software. Eternal Special *Thanks* to: Bob Doyle and Holly Doyle for giving me this wonderful Apple computer, its software, and hope for the future; James "Kibo" Parry for his terrific tutorials and generous help; Ken "Beldar" Coar and Lynnell "Angel" Koehler for starting up this wizard's website; Dave "Auk" Chamberlain for securing the wizard's website; MV Communications for hosting WizWorld; Lisa "Corgi" Winters for keeping the memory alive; Derek "SkyBuilder" Doyle for discovering me on the Net, and Rob Doyle, Dave Yost, Meriday Beth Komor, the Mystery Person (you know who you are); and Mom, without whom I'd be long gone. 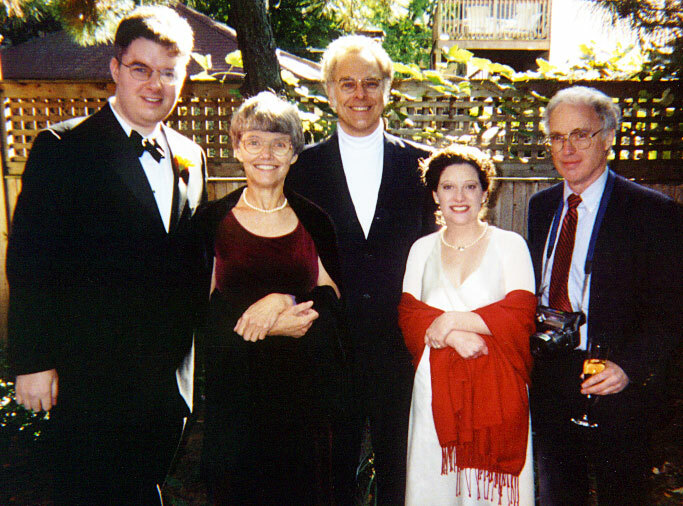 Mike later returned to Boston to preside over the marriage of Derek Doyle and Rebekah Lea, two of his greatest fans. Bob Doyle devoted one of his NewMedia columns to Mike Jittlov's work. Can a Hollywood effects genius who made a feature film in his garage move on to post-producing everything on a digital desktop? Mike Jittlov, the creator of The Wizard of Speed and Time, a low-budget special-effects masterpiece, has been a resident intern at NewMedia Lab in recent months, learning to transfer his amazing film talents to digital media. The winner of the coveted Norman McLaren award for film animation and a Cine Golden Eagle, and the producer of special-effects films for Walt Disney, Epcot Center, and the Disney Channel, Jittlov has seen his hypercreative techniques emulated in countless MTV videos. Despite his critical success and cult following (including an Internet newsgroup, alt.fan.mike-jittlov, devoted to his work), Jittlov found that the Hollywood system, with its outsized expenses and insider gamesmanship, was not the ideal environment for an independent pioneer. I invited him to NewMedia Lab to archive his latest project -- a "walkumentary" of his travels in Europe -- in DV format and to explore the latest technology for editing 120 hours of spectacular footage into his unique vision. In his film technique, Jittlov multiply exposes images as many as 21 times by rewinding film in his camera before developing and printing. If one exposure is misregistered, he has to start over. With DV tools, he can composite as many layers as he wants and check them to the pixel before rendering. For example, Mike uses Strata MediaPaint to paint on his frames over time, even painting in images from other QuickTime movies. He likes Strata StudioPro's motion blur, which emulates a film shutter, but found the application would not let him animate objects with QuickTime movies as a background, so he now does this in Adobe After Effects. Where he once etched title effects directly onto film with a steady hand capable of 35 lines per inch (in about 2-point type), he plans to design his own fonts with Macromedia Fontographer and fly them around using After Effects. He says that the key to achieving believable live/animated character synchronization, as in Roger Rabbit, is positioning the animated object precisely relative to the video and carefully matching the lighting, texture, and motion to the original shot. He's found that MetaCreations Infini-D, with its precise animation against a video background texture, lets him do this. Jittlov's most recent discovery is Scott Squires' Commotion from Puffin Designs. He has been using the beta version to see real-time playback of his painting on frames and to build traveling mattes from animated Bézier spline curves. Commotion lets him touch up frames, remove video glitches, and transfer actors to other scenes without a blue screen. "It's a dream time for visual storytellers," Jittlov says. "Everything is becoming possible and accessible." 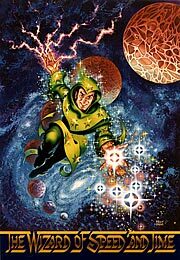 Now that he has seen the light, Jittlov says his future work will originate on DV. Then, if a retro network executive objects to the format, Jittlov can run the video through DigiEffects' new CineLook filters to replicate any film grain, color, contrast, or vintage, "including scratches, hairs, dirt, and drunken cameraman exposures," he grins. So far, Jittlov's studies have been entirely on Macintosh. I hope he'll have the time to explore the tools for NT and SGI. Regardless of platform, there is no question that technology has enabled him to create his new film at lower cost and with more control, but Jittlov sees further opportunity for software publishers to make life easier for independent filmmakers. "By the time I'm done with post [production], I hope they'll have introduced Adobe Agent, Desktop Distributor, and PowerAttorney." Bob encouraged Mike to do critical reviews of tools and he wrote one review article for NewMedia magazine. What's on your mind in the world of digital media? the general discussion area of Threads. Created by Scott Squires, an Academy Award-winning visual effects supervisor at Industrial Light & Magic, Commotion is another great reason for film and video artists to buy Macintosh. The interface is familiar, with paint and drawing tools like Adobe's Photoshop and Illustrator, compositing tools like After Effects, and cloning tools resembling MetaCreations' Painter. The big difference is Commotion's instantaneous, real-time playback of once-unaffordable CGI miracles on a desktop Mac. Its two CD-ROMs, 193-page manual, and dongle weigh in at a hefty $2,495. But remember that same amount of money buys only two or three hours of cleanup time in a $1,000,000 Quantel or Flame edit suite. Commotion lets you work that same magic, and you keep the wand. Installation's easy; just drag the 4MB icon to your hard drive. Also, make sure you have plenty of RAM because Commotion's image processing works by buffering footage in and out of RAM, and uncompressed D1 video (720-by-486 pixels per frame, 30fps, millions of colors) needs about 30MB of storage per second. Puffin recommends a PowerPC-based Mac (8500 or better) with a video accelerator card and 48MB of RAM for full-resolution video playback (100MB for film). But many effects-houses still have 8100/80s with only 24MB of free RAM, so Commotion's Auto Frame Spool allows painting and playing a movie segment and frame-swapping as needed, with playback range increased by variable subwindows and other options. It loads QuickTime, numbered PICT, or Electric Image animation files -- no TIFF or JPEG (JFIF). Puffin's claims of handling 16,000-by-16,000 pixel files could not be confirmed, however, since the Mac OS limits PICTs to 4,096 across (big enough for hi-res film work). If you buy Commotion, go the distance and get extra memory as well; 540MB of RAM will smoothly stream your special effects-packed D1 at full NTSC for 16 seconds -- longer than most producers' attention spans. It plays forward, backward, in continuous loop, or rock-and-roll at presets of 30fps, 25fps and 24fps, including 60-field NTSC and PAL. Variable and Max can play back from 1fps to a dazzling 600fps, contingent on frame size, bit depth, and having an IXmicro TwinTurbo card. Commotion unfolds seven floating palettes of creative resources in seconds. Opening your footage files can take a few minutes longer, depending on their resolution and depth. But when a Clip window appears, every movie frame becomes an instantly accessible canvas. There's the standard Paintbrush, Airbrush, Pencil and Erase, as well as image-filtering Dodge, Burn, Sharpen, Blur, and image-distorting Smudge. All those tools utilize any of the default brush tips; there's also Wacom pen tablet support for size and opacity. The Real Time Brush Maker feature lets you instantly size and feather new tools to suit. Or you can quickly make a brush shape from any PICT scribble and even paint and erase with your own signature. Grab colors with the Eyedropper, vary them with Color Palette sliders and numerics, or import a Photoshop Swatch. Then paint right on the RGBA (red, green, blue, alpha) image, on any of its color layers, or rotoscope just an alpha matte in Overlay mode. Onion Skinning summons adjustable ghost images from preceding or following frames, for an animator's X-ray of drawn dynamics. Specially geared for the movie industry, a Wire Removal tool, with adjustable width, offset, and noise, erases all visible support from flying actors and props. It's also excellent for erasing film scratches right away. Got an intrusive boom microphone or a jet plane in a medieval sky? This is a job for SuperClone, which can copy images and textures from up to four sources (from the same movie or from others) with variable offsets, auto advancing both source and target footage to easily paint appropriate pixels over the problem. The same trick is perfect for erasing video dropouts, giving Hi8 artists the power to salvage priceless shots. Every touch-up is possible, from changing a single pixel's tint to painting or cloning new characters and entire oceans of action. Most importantly, Commotion plays that action at its proper speed -- because corrections can look fine in still-frame mode, while mistakes jump out when the segment is played in real time. If you see an error, just freeze it, zoom in (up to 16X), retouch, and play back immediately. There's no render time for painting, nothing to slow that creative flow. The Calculate menu contains channel duplicate, channel invert, vertical and horizontal image flip, and many compositing options. A 3:2 Pulldown with selectable phase and auto-detect allows matching video and film frame rates. Filters include Brightness, Contrast, Hue, Saturation, RGBA Levels, and Color Balance; BlueScreen, GreenScreen, and Luminance keys; RGBA and Gaussian Blurs; Sharpen, Dirt Removal, Noise Addition, and more -- most with an option for immediate full-frame preview. The Average Frames feature rapidly distills a clean plate from a locked-down shot, for use as a difference matte to separate moving parts. If a matting screen is unavailable, Commotion's powerful Rotosplines tool can blaze new pathways for isolating and transferring image elements. Click a string of splines around a dancer, add Bézier curves for a snug silhouette, then frame forward, easily adjusting, rotating, and scaling to make a traveling vector outline. Commotion allows up to 49 layers of independently animatable, keyframable splines, and holes can penetrate an entire stack of intersecting masks with an icon click. Tap Playback, and all the splines are elegantly interpolated between their keyframes, each controlled by a velocity curve editor. Spline lines can be procedural paths for any paint tool -- including a snaky Smudge. Spline shapes can be separately stroked, colored, and filled, and will cut moving alpha mattes with adjustably feathered edges. They save singly or in sets and are easily imported and auto-sized to other clips. Rotoscoped paths can also be used for fascinating spline-based animation -- you'll probably see them all over next month's music videos. Note that on our real-world Power Mac 9500/132 with 96MB of RAM, real time playback of larger formats (D1) is only in normal RGB viewing. Rotosplines can slow playback by three to seven times, Onion Skinning by six-and-a-half times, and Overlay (RGB+A) by 15 times. Processing time is still needed for filters (1-4 seconds/frame on this computer), spline strokes (2-7 seconds/frame), spline mattes (3.5 to 86 seconds/frame for all 49 layers), and Revert (3.5 seconds/frame). Commotion outputs at rates from .5 seconds/frame for uncompressed QuickTime and PICT formats to 6-7 seconds/frame for High Data Rate Media 100 and Cinepak files, with options for embedded alpha and QuickTime layers. These timings are file- and hardware-dependent; smaller QuickTime formats for CD-ROM and Web use will play and process much faster. Uncompressed results will be as close to broadcast quality as your original footage, without artifacting. On the downside ... QuickTime audio elements are lost on input, so effects can't be synched to a soundtrack. Commotion is intended to complement After Effects, but it allows no plug-ins and can't yet bring aboard wonders like Chroma Graphics' MagicMask to snap a Bézier tightly around a figure. It saves splines in its own format, but won't import Illustrator or EPS files. Filters don't interpolate along footage, and the spline's default gray sometimes vanishes into the image. There's only one level of Undo (like Photoshop) -- but you can use any brush for erase-painting to the latest stroke or the latest saved version, or you can do an overall Revert. Version 1.0.5 had some glitches, standard for a hot new program. Marquee, Move, Gradient, Paste, and Frame Rotate didn't quite work. Warning boxes required scores of consecutive clickouts. Prefs didn't recall all settings and layouts. Spline Color changers are too close to their layer names, which sometimes clear when paths are worked on. There are simple tool tips, but there's no online help. Commotion's tech support gets an A, however. We received an e-mail response to our long list of questions in just two hours. With a phone call we got a live technician, who confirmed that Puffin's Web page will soon have a free upgrade with many new features, including field support and motion blur on rotosplines. External plug-in support, Copy and Paste, shortcut tool-tolerance selection, image-tracking, motion-tracking, faster filter rendering and an updated manual are "in the works." Onionskinning splines, preserving soundtracks, reverting single frames, interpolating filters, and controlling digital disk recorders are "on the list." A new keyboard shortcut guide is already online. Bugs aside, Commotion is a ground-breaking paradise for effects industry pixel-pushers. It's inviting, exciting, fun to work with, and could easily become the favorite in your MacWizard toolbox. Hollywood director-producer Mike Jittlov writes reviews because it gets him cool free stuff to complete his special-effects epics.